My name is Grig Richters. 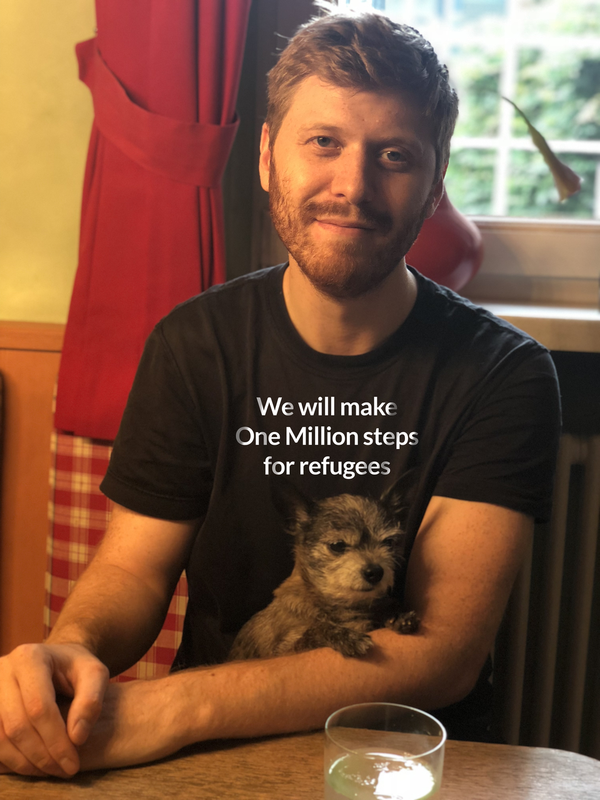 I am a German filmmaker and I am making 1 Million steps to save 1,000 children from the refugee camps. Will you join me? We are in the midst of a humanitarian crisis. According to the United Nations Refugee Agency, "an unprecedented 68.5 million people around the world have been forced from their homes. Among them are nearly 25.4 million refugees, over half of whom are under the age of 18." Thats is why I march from Paris to Berlin - travelling over 1,000 Miles on foot - to raise awareness about their situations and to get the EU leaders to listen and to give these children the home they deserve! I am asking the German, French, Canadian and Luxembourg Governments: “Please save our children” but my voice alone isn‘t enough so please join me by signing the petition. I am carrying this pledge with me across 27 cities and hopefully you can meet me to show your support. I am not a professional runner so I am counting on your support to help me march this distance even if its just for a couple of hours. We need to show the world that we care about one another, and that we do not tolerate hate and what better way to show this than to march in peace between two of Europe’s historical capitals? I start to march - PEACEFULLY - from the Arc de Triomphe on October 27 in Paris and will arrive in Berlin at the Brandenburg Gate on December 1. I will march through France, Belgium and Germany. Feel free to join me. Even if it's for just a bit. Full list of meetup points, here. You may not be able to join me in person but you can also get involved via Social Media (Hashtag #IMARCHFORYOU and follow me @GrigRichters) or donate to my campaign to help pay for some of the essentials.